Hung Kuen is one of major branches Chinese Kung Fu created in the 17th Century in the Southern Shaolin Temple by Hung Hei Gwan. Made famous by Grandmaster Wong Fei Hung whose life has been made famous by hundreds of movies made about his life and his student Grandmaster Lam Sai Wing, Hung Kuen is a no nonsense form of self defence that is suitable for men, women and children. The Lam Family has been teaching Hung Kuen for three generations. Grandmasters Lam Chun Chung and Lam Chun Sing continues to pass on the Hung Kuen tradition to future generations in Hong Kong and overseas. As a young man, he was already helping his Sifu in teaching at the Southern Martial Arts Association and eventually set up his own kung fu studio. His skill was so well known, that people though out the South referred to him as Sifu even as a young man. He set up another studio in Kowloon, where thousands of students trained. His closest students set up studios to teach as well; thus, those who had his teaching spread across Hong Kong and Guangzhou, and the Hung Kuen style became a shining example of excellence in martial arts. Many of Lam Cho's students in turn become well known martial artists and respected figure within the Chinese Martial Arts circles around the world. Some of them have opened up Kung Fu schools of great renown. Grandmaster Lam was well respected and was invited to give demonstrations for the Navy and Army. Both Chinese and foreigners complimented his performance, and his photo was soon appearing in London newspapers. The school of martial arts spread throughout the globe, enhancing the reputation of the Lam family and the Hung Kuen style. Grandmaster Lam traveled far and wide, and never tired of teaching the style his Sifu taught him. He was especially happy and willing to help newcomers to the art. Many of the students that he trained went on to develop great reputations for themselves. All were grateful for his noble deeds, but grandmaster Lam remained humble and peaceful, and was therefore well respected. When the Japanese invaded Hong Kong, grandmaster Lam’s studio burned down, and fighting broke out all across the city. Grandmaster Lam helped maintain the peace and aided the people in their suffering, and his deeds are still remembered to this day. When Hong Kong fell, the Japanese forces went looking for grandmaster Lam, so he returned in secrecy to his village. When the people of his village heard of his return, they immediately entreated him to teach martial arts. Finally, after Hong Kong was liberated, he returned to Hong Kong and set up his studio. He taught, gave medical care, and served as national martial arts consultant for various unions and workers associations. His medical skill was superb, and his principles were especially admirable; he did not take more from the rich, but nonetheless reduced his fees for the poor, to the point of providing free service and medicine. He was compassionate and generous. He accomplished a great deal in his youth, and still enjoys researching and discussing medicine and martial arts everyday. Having frequently watched his father teach Hung Kuen to his students, GM Lam has tremendous insight into the art of Hung Kuen even from a young age. 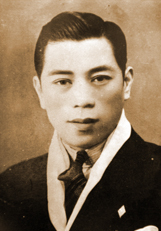 GM Lam also trained diligently with his brothers and assisted in teaching at his father school from the age of 16. GM Lam also often performed on stage with his brothers. His double dagger vs spear form which he performs with his brother Lam Chun Hin and his Wu Dip Seung Do were big hits with the local audience at the time. Subsequent to completing his schooling at St Josephs School in Kowloon, GM Lam moved to Macau for work. When he was away from Hong Kong, GM Lam did not teach any students. In 2002, GM Lam competed and was declared the winner in the World Kung Fu Championships in Chongzhou China for his performance of Fu Hok Seung Ying Kuen. In 2004, GM Lam returned from Macau to Hong Kong to assist his father in teaching Hung Kuen at his legendary studio in Macau. Today, GM Lam has continued his father's legacy by continuing to teach his father's students and new students his father's legendary Mong Kok studio. He is currently in charge of the Mong Kok studio where he has taken his fathers place to pass down the family art to all those interested to learn. GM Lam also treats patients by carrying out Dit Da massage at the studio. GM Lam is an exceptional master of Gung Fu and a first class teacher. Patient and precise, he is extremely careful and accurate when it comes to teaching and guiding his students. He always takes the time to thoroughly explain what he teaches and encourages his students to train properly and devote the time and energy necessary to become proficient in Hung Kuen. Being one of the Senior Student of Lam Cho in his Mong Kok class, Sifu Chan has been helping his younger kung fu brothers and students understand the deeper aspects of Hung Kuen for the past 25 years. Sifu Chan participated in the World Hung Kuen Championships recently held in Foshan PRC in October 2013 and won the bronze award for his performance of Kwan Do vs Spear with Sifu Benny Wong Hon Keung also of the Mongkok School. He also performed the Yiu Gar Dai Pa at the competition. This is quite an impressive feat given the fact that he is 70 years young and was competing against many contestants that were more than half his age. Sifu Chan's stamina is a demonstration of the effectiveness of Hung Kuen in maintaining health and fitness. Given his long years of training and teaching directly under GM Lam Cho, Sifu Chan continues to teach and pass on the complete art of Hung Kuen to the future generations. 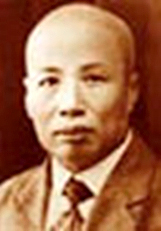 Subsequently, Sifu Wong studied the finer aspects of Hung Kuen as a direct student of Grandmaster Lam Cho. 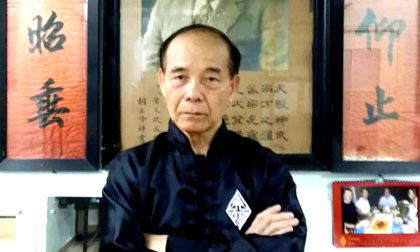 Sifu Wong is the last direct student of Grandmaster Lam Cho and was authorized by his master to pass on the art and tradition of Hung Kuen including to international students in Singapore, Ukraine and South America. Sifu Wong has had extensive experience competing and refereeing in martial arts competitions in Hong Kong and in China. He is currently the Associate Vice Chairman, Referee Instructor, Referee and Accredited Instructor of the World Hung Kuen Association. 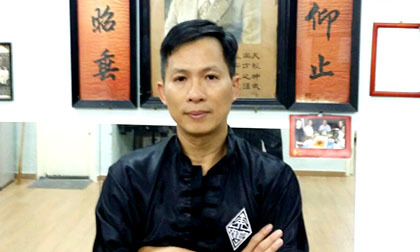 He is also a Sanda Instructor of the Hong Kong Wushu Union and an accredited referee and instructor of the Hong Kong Chinese Martial Arts and Dragon and Lion Dance Association and an accredited coach of th Hong Kong Coaching Committee and Accredited Instructor of the Leisure and Cultural Services Department. Sifu Wong participated in the Wong Hung Kuen Championships recently held in Foshan PRC in October 2013 and won the Gold Award for his performance of Seung Long Do. 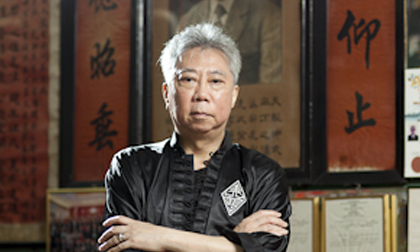 Sifu Wong is currently the Associate Vice Chairman of the World Hung Kuen Association. 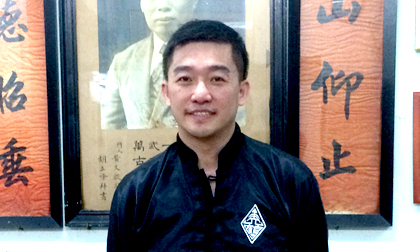 Sifu Wong was the Deputy Chief Referee and Deputy Director of the Competition Office for the Wong Fei Hung Cup International Hung Kuen Competition held in Foshan in November 2014. As Deputy Chief Referee, Sifu Wong was responsible for management of referees at the competition with more than 200 competitors from all over the World. Given his rich tournament and refereeing experience, Sifu Wong is in a unique position of being able to pass on his knowledge and experience to students." In 2010, Vincent and his family returned to Hong Kong due to work reasons. Having an interest in Hung Kuen, Vincent commenced training with GM Lam Chun Chung. After 3 years of dedicated training under the watchful eye of GM Lam, in 2014, Vincent was appointed as an Assistant Instructor at the school to assist in teaching Hung Kuen to local and international students. Vincent participated in the World Hung Kuen Championships held in Foshan, PRC in October 2013 and won the Bronze Award for his performance of Ng Long Bat Gwa Gwan. He has also written an article on Ng Long Bat Gwa Gwan which was published on the Naam Kyun website. Vincent has also represented the school in various performances of Fu Hok Seung Ying Kuen, Ng Long Bat Gwa Gwan, Dai Kwan Do and Seung Long Do in 2013-14. Conversant in both English and Cantonese, having trained directly under GM Lam Chun Chung and given his many years of martial arts experience including the teaching of martial arts in other countries, Vincent is in the unique position in Hong Kong of being able to teach Hung Kuen in both fluent English and Cantonese.